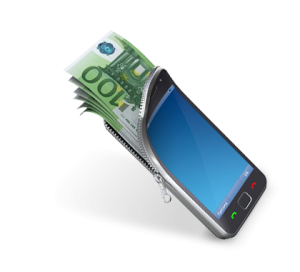 Larger screen sizes are allowing users to conduct transactions on their mobile devices much easier than before. If this is true, the new release of iPhone 6 and iPhone 6 Plus will contribute to this phenomenon even further with the bigger screens. In line with the new iPhones, Apple Pay is regarded as the solution that will remove all the obstacles to mobile shopping. Within the first 72 hours of its launch, Apple Pay had over one million credit cards registered with it, validating Chandra’s point. Apple Pay seems to offer a very promising transition to a mobile payment system. Although still new and only available in the USA (with no plans to launch in Canada anytime soon), it is not hard to imagine that it will be the future of payment. The key strength of Apple Pay lies in its simplicity. Users don’t even have to wake their iPhones in order to make a transaction thanks to the near field transaction antenna thats built into the device. And with the breakthrough Touch ID technology, the transaction is securely completed, allowing for faster and secure payment. While it is still the early days of mobile payment, Apple is already building the system into its new devices such as the Watch that is due to be released in early 2015. As Chandra notes in the article, it is important that retailers need to make sure they have the tech infrastructure to cater to the tech savvy users sooner rather than later. Despite the fact that it is still a new technology, it is without question that it will be the future of payment processing, which makes it crucial for retail stores to make sure they have the resources and the infrastructure to make the transition as smooth and as painless as possible.